Pool Supply Store. 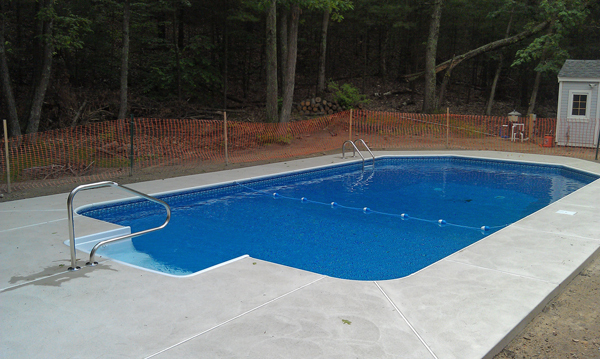 The Londonderry, New Hampshire’s store is central to Daigle’s pool service philosophy. 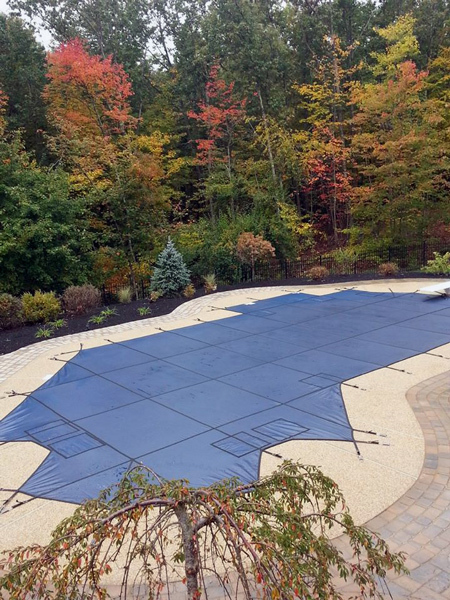 Having a physical location assures all of Daigle Servicing Company’s clients that their pool installation has been the best possible quality available in southern New Hampshire and northern Massachusetts. Many customers come back year after year for their pool products and answers to troubling pool clarity problems. We also supply and install pool safety covers. Equipment repair. An Authorized Goldline repair shop, and years of experience installing and repairing many different makes and models of pool equipment sets Daigle servicing company apart from many pool companies. Maybe a simple repair will suffice instead of replacing with new equipment. Pool Repair and Reconditioning. As an in-ground pool begins to age, certain parts begin to fail. Liners fade, filters become ineffective and motors burn out. No need to fill in that pool or install a new one! 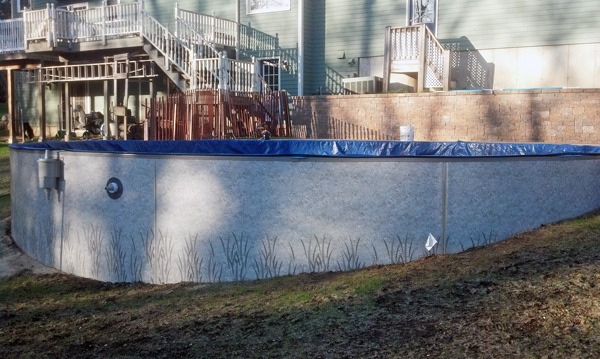 Daigle servicing can bring new life to an old in-ground pool with a fresh liner and replacing any one out equipment parts as needed. Leak Detection. Not a glamorous part of the pool business, but if your pool is leaking water you need an expert to find out why. In many cases a liner can be repaired without being replaced. We have state of the art equipment to locate leaks as small as pin holes in a liner. We can however, replace the vinyl liner if needed. Pool School. All Daigle Pool employees are trained in pool maintenance. We provide a one hour bootcamp on pool maintenance and proper use of equipment for all new pool owners. Pool school is also available to any pool owner who may have inherited a pool they know nothing about! Very professional and punctual. Don always got back to me on time and did a great job. The pool has been working great. Todd T.